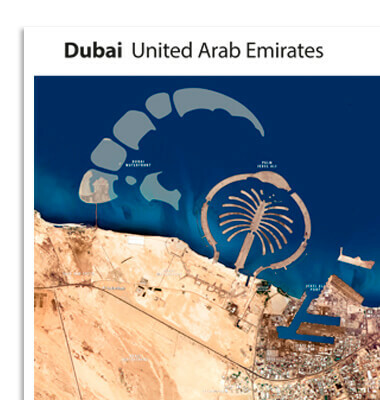 This beautiful satellite image shows Dubai in detail, with all the major road networks and beyond covered by our highly skilled team of cartographers and designers. The perfect wall hanging for the office, school or home, it serves as a stunning souvenir or a useful navigational aid. Our wall maps are printed upon receipt of your order, with matt lamination in a standard finish. Wall maps may only be ordered from and delivered within the UAE. Produced by our highly skilled team of cartographers and designers, this useful wall map is the perfect wall hanging for the office, school or home. Bulk discounts, bespoke designs and customisation packages of any of the wall maps are also available.